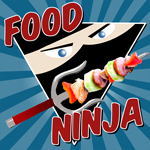 We had a really stormy weekend in Sonoma County, and my step daughter and I were stuck inside all day on Saturday. My hubby had to work, so it was just us girls. 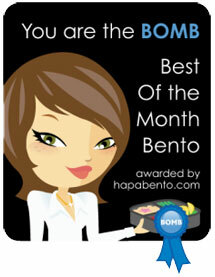 We decided to make some fun bentos and work on decorating her new bedroom. We didn't have all of the supplies for her bedroom, so I had to finish it up on Sunday. The bentos turned out great though! 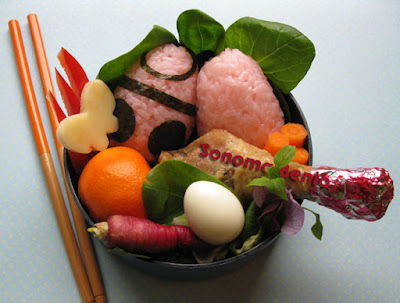 My bento has easter egg-shaped pink onigiri (one decorated with nori, the other plain), greens from Earthworks, baby carrots, a chicken drumstick, hard boiled quail egg and red carrot from Triple T Farms, small tangerine from Schletewitz Family Fruit Stand, pepper jack cheese butterfly, and a few slices of red pepper. My daughter's bento includes: more pink onigiri, chicken drumstick, pepper jack duckie and butterfly, baby carrots, greens from Earthworks, tangerine from Schletewitz Family, and hard boiled quail egg from Triple T.
And this is her room! 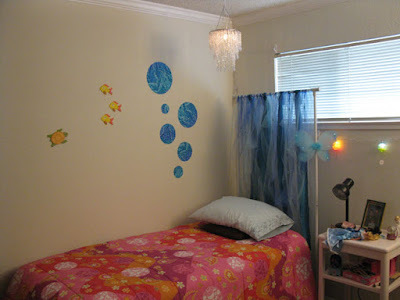 We are still looking for a different bedspread to go with the underwater theme. We did the 'waterfall' of tulle, ribbon, and fabric together. We also worked on the fabric wall stickers together (with an idea that I saw posted by ChantaleP ~thanks! ), but the fusible web I got initially didn't work so well. I had to go back to the craft store and get a different kind. The Bento4Japan eBay auction is still going on with new items added! Please bid or put up your own items for auction to help. Oh my goodness; that waterfall looks like what I had at the head of MY bed in grad school! I made mine out of driftwood, and hung felted sea creatures (like a mobile) from the frame. My mom had made fish, octopus, even seaweed for me. I'll never forget it :) Your daughter will love it when it's all done! 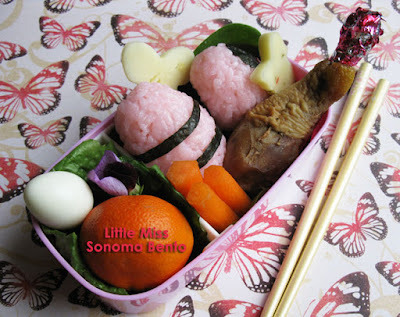 Super sweet pink "egg" bentos too! It sounds like a fun rainy day! Love the underwater theme, the fish, bubbles and waterfall looks great...lovin' it. How sweet, your daughter is so lucky to have you! Yes, today was pretty awesome. Everything sun shiny and bright after so much wind and rain. I do want to put more sea creatures into the mix, so it will be evolving. Have a great day, sheri! Thank you so much Bobo! That is a really sweet compliment. Ooh, I love that waterfall. I'll let you know if I spot anything during my thrift-store rambles that goes with the theme. Thanks so much Yenny! Her room is really a fun little space in which to play and dream now. Ooo, thanks dragonmamma! I would love to add some more touches to it with fun sea creatures.